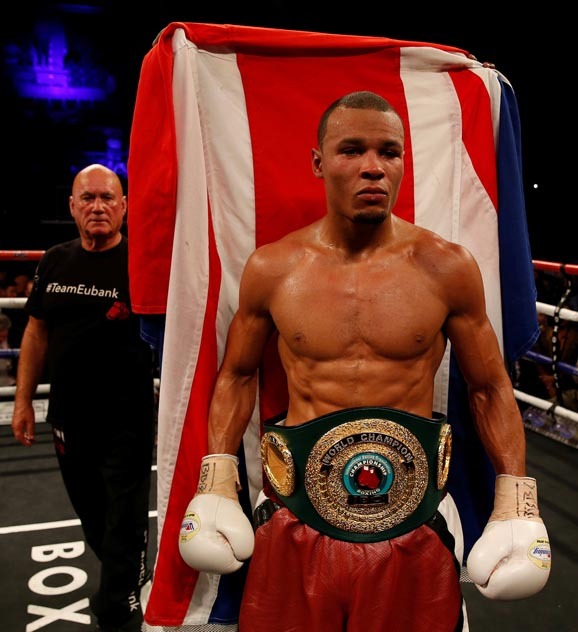 Chris Eubank Junior defended his International Boxing Organisation (IBO) world super-middleweight title with a unanimous points decision win over Arthur Abraham in London on Saturday. Eubank retained the belt he took in February with the three judges awarding him the contest 118-110, 118-110, 120-108 at the end of 12 absorbing rounds at the SSE Wembley Arena. The Brighton-born boxer, with his father, the former middleweight champion Chris Eubank in his corner, proved too much of a handful for the decade older Abraham. The Armenian-born German manfully absorbed punch after punch from the fleeter-footed home favourite who kept up his relentless pounding until the final bell. Eubank's reward is an invitation to the inaugural $50 million (o38.4m) World Boxing Super Series Muhammad Ali Trophy. Eubank, who took his record to 25-1, paid tribute to Abraham. "He's the most durable opponent I've faced. I hit him with every punch in the book. The statement was made. "I'm happy with the performance. I got to show my skills, I got to go the 12 rounds and get the experience in." His dad described his son as "the most talented fighter on the planet". Eubank senior added: "I believe he's the best in the world. Over the coming nine months, he will be able to clean the slate and come away with the Mohamed Ali trophy and all the belts." On the undercard Britain's Lee Selby defended his International Boxing Federation (IBF) world featherweight belt with a unanimous points decision against Argentine challenger Jonathan Victor Barros four days after the death of his mother. The 30-year-old Welshman-who has held the title since 2015 -- emerged the winner of a gripping bout with the three judges scoring 119-108, 117-110, 117-110 after 12 rounds. Selby had been hailed as a "brave young man" by his manager Jamie Sanigar for not withdrawing after his mum Frankie passed away on Tuesday. And Selby, who felled Barros with a left hook in the last round, said after the fight: "It doesn't seem real. I told my team to pretend nothing has happened. I turned my phone off. "If I told people what I was thinking I'd be in a straight jacket. "No (never thought about not fighting), I'm a fighter. "Nothing phases me in the ring. I've got the best cut man in the business." He now has his sights on former WBA World featherweight champion Carl Frampton. The loss of his mother is not the first time tragedy has struck Selby as his older brother Michael drowned nine years ago, leading the boxer to go "on a binge of drugs and drinking" before turning his life round.